As Target Canada prepares to shut its doors, key managers will walk away with thousands of dollars of extra cash. But none of its approximately 17,000 front-line workers will be so lucky. As Target Canada prepares to shut its doors, key managers will walk away with thousands of dollars of extra cash, but none of its approximately 17,000 front-line workers will be so lucky. Target is not offering any severance. Target, based in the U.S., is closing all of its 133 Canadian stores. Between 21 and 26 of Target Canada's top senior and operations managers will receive an average of about $30,000 each on top of their final paycheque. That's equal to eight to 12 weeks' salary for most of them. 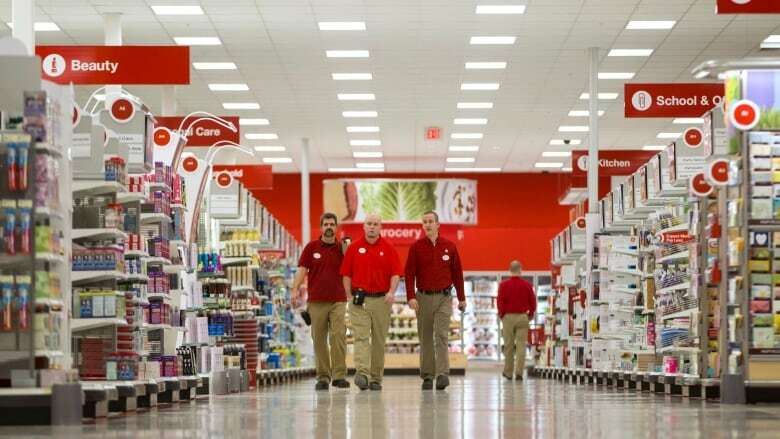 Approximately 520 store level managers, about four per Target Canada store, will get an average of around $11,000 each, also based on eight to 12 weeks salary. The extra payments add up to $6.5 million. Managers have to stay in their jobs until they're no longer needed in order to receive the cash. The cash incentives are part of a Key Employee Retention Plan (KERP). Target has applied for creditor protection and documents filed in Ontario Superior Court explain that KERP was created by Target Canada to encourage key managers to stick around and guide the company as it winds down operations and closes stores. The document notes the extra cash payments are necessary because the company can't risk losing its valued managers: "These employees have significant experience and specialized expertise that cannot be easily replicated or replaced." A Target Canada employee named Sarah, who asked that her real name not be used for fear she will lose the final weeks of her employment for speaking out, is already upset that she’s losing her team member job at an Ontario Target store and getting no severance. On learning that some managers are receiving extra cash, she finds her outrage boiling over. Referring to what select managers of her store may each get, she says, "$11,000 is a little under a year's salary for me. That's disgusting." "I'm fuming right now, absolutely fuming. Wow. I'm stunned. I'm not surprised and yet I'm at a loss of words," says the single mother. She doesn’t buy the idea that the cash is needed to entice some store managers to stay because their expertise in the final days will be vital. "I don't see where they're a key employee. I'm failing to see that. It's the team members who are getting the product to the floor for it to be sold, and keeping the store clean." She recognizes the need for leadership but says that "at the end of the day, it's the team members that run that store." Target is providing all eligible workers with at least 16 weeks pay starting on Jan. 25. Some will be let go early and still pocket the entire four months' pay. But others may have to work for the entire time. "If we work the full 16 weeks, it's 'Thank you very much for your hard work, goodbye.' We get nothing," Sarah says. Labour expert AnilVerma says a cash top-up for select managers is common practice in the business world. "The traditional view is that it's all hierarchy driven. Companies would say that the top guy has to make sure that there's an orderly wind down," says the professor who teaches at the Rotman School of Management at the University of Toronto. But he says what is unusual is the fact that many Target Canada employees are remaining on the job, possibly for several weeks, after being given notice. Without a financial incentive, says Verma, workers still scheduled to work could turn into lousy employees who might even be a menace. "If I were Target, I think I'd be very concerned about the possibility of sabotage and so forth. Also, imagine what the motivation of these workers would be? Why would they want to do a good job? "I think that Target is setting itself up for even more difficult times winding down," he concludes. Sarah admits knowing some are getting a cash top-up dampens her drive to do a good job. "It discourages me from wanting to work hard and make sure this company has a positive exit, because they're not making sure I have a positive exit from their company, after all the work I put in." Target store closures: What will happen to 17,600 employees?